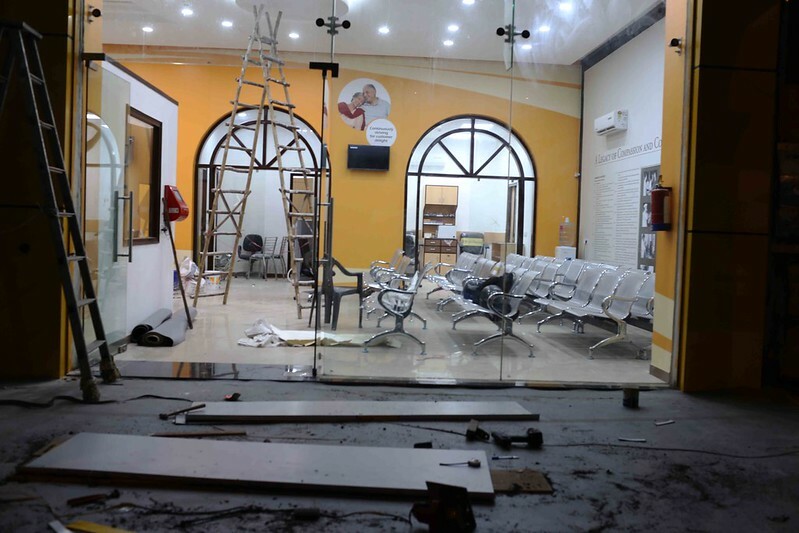 Browse: Home » 2016 » August » 05 » City Notice – A Godin & Co., The Piano Shop of Connaught Place, is Gone! 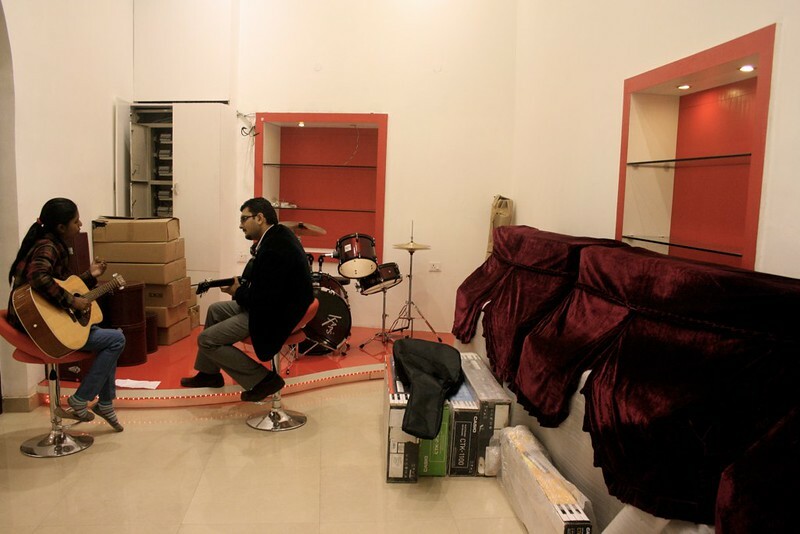 City Notice – A Godin & Co., The Piano Shop of Connaught Place, is Gone! A great Colonial-era icon of Connaught Place is lost to history. 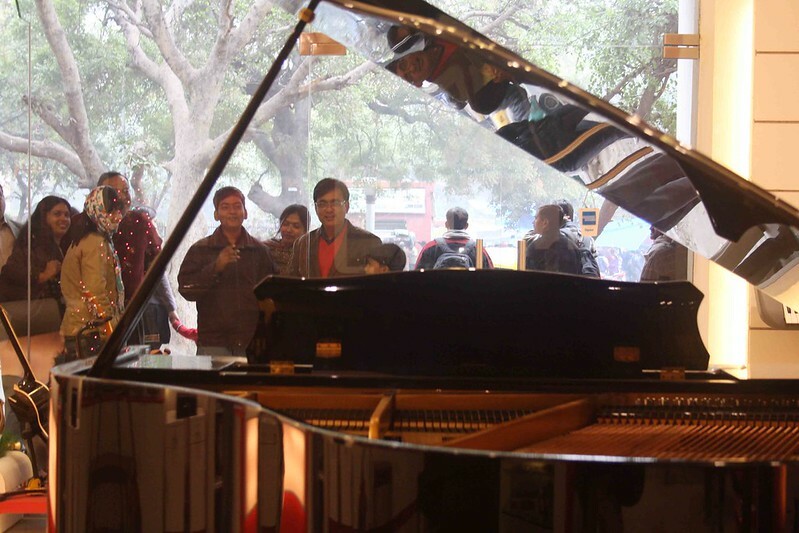 The piano shop used to be the official tuner for the pianos of Lord Louis Mountbatten, India’s last British Viceroy. Situated at the desolate end of the Regal Cinema building, A. Godin & Co. was established in Quetta in 1900. The founder Celiano Godin, a 25-year-old who played both piano and violin, later opened branches in Bombay, Calcutta, Mussoorie and Delhi. 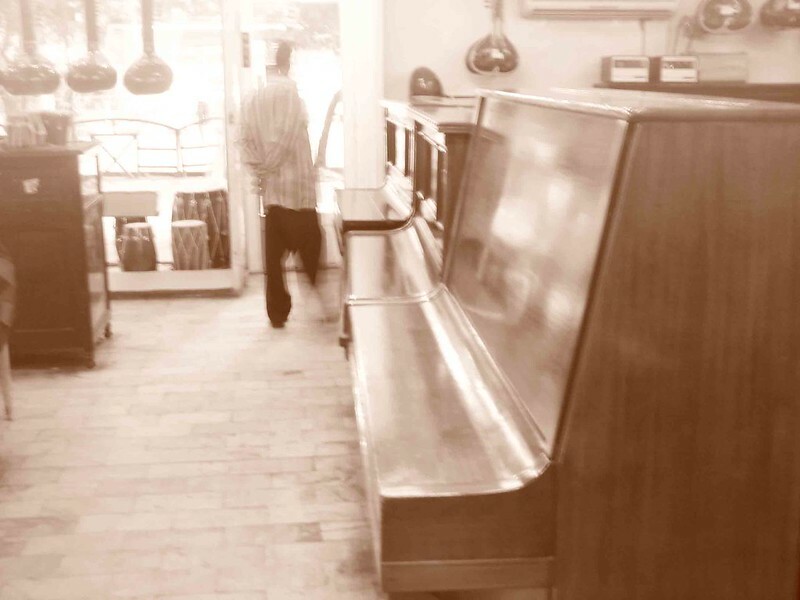 Opened originally at Kashmiri Gate in 1940, the Delhi store rapidly earned its prestige. By the time Lord Mountbatten arrived seven years later to cut a bleeding India into pieces, Godin & Co was reputed enough to be chosen as the official tuner for his pianos. But the partition came with its complications – the British left and Quetta had to be abandoned. 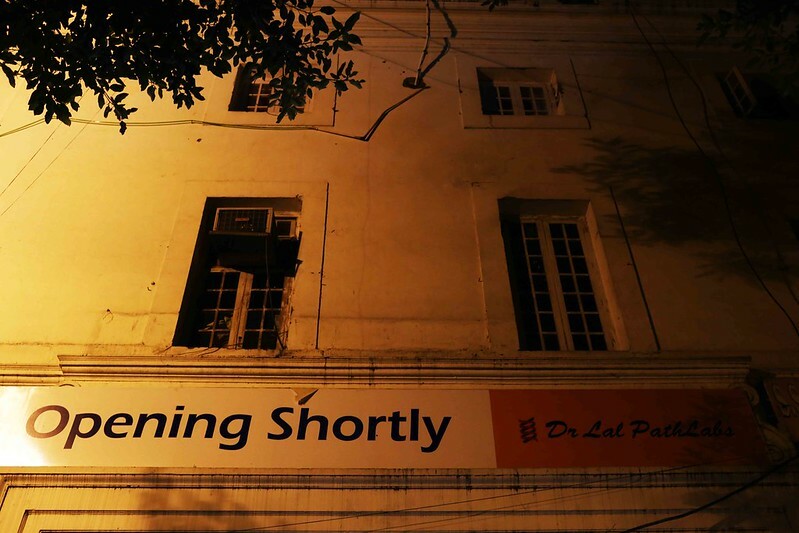 The piano trade was no longer lucrative and other stores were shut down leaving the one at Delhi alone to carry on with the legacy. 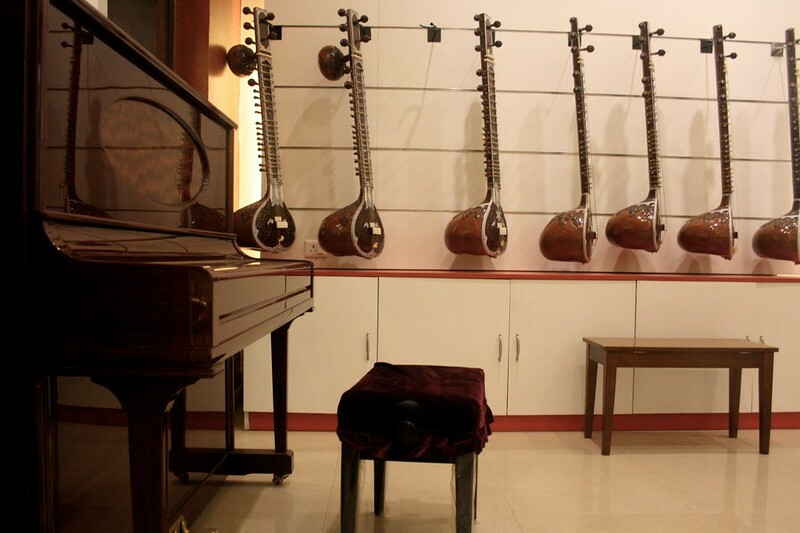 In 1960, Austin Godin, the founder’s son, finally bowed to the market demand and opened the doors to selling Indian instruments like sitar and tabla, apart from pianos. Until the first decade of the new millennium, the shops windows would be decked with hanging sitars, harmoniums were arranged on tables and guitars adorned the wall but it were the pianos–Grand and Upright–that made the atmosphere. Magnificently sprawled over half the showroom, their regal splendor, teakwood dignity and old-world charm suffused Godin & Co with an old-world elegance. Rarer still were the talented artists employed to assist the buyers. Sajal Mallick, a piano repairer who inherited the art from his father, effortlessly rendered Rabindra Sangeet in a Grand. 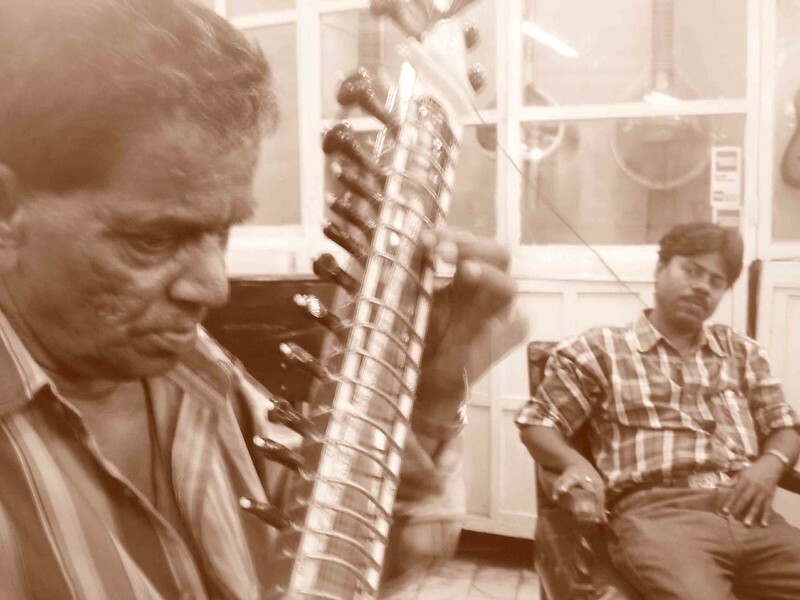 Visually impaired Ishrat Ali, another staffer, could play a perfect Rag Bhopali in a sitar of your picking (see photo 2 below). 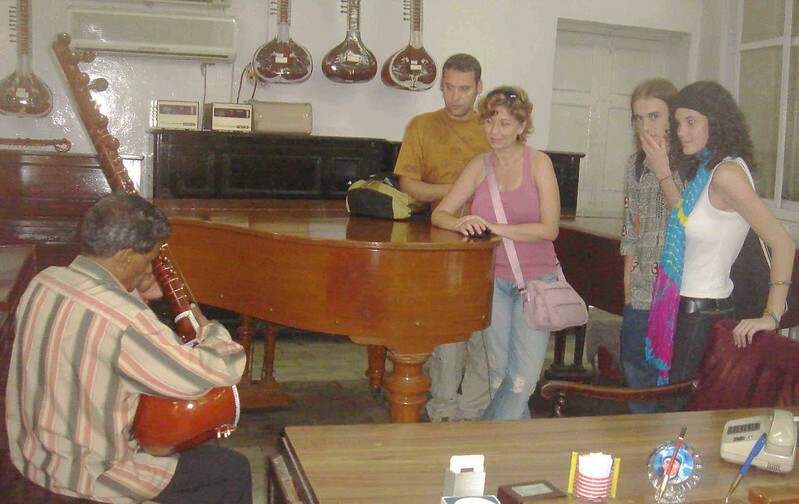 The company imported around 50 pianos each year from Stuttgart in Germany; the sitars and guitars came from Calcutta. Elton John is said to have bought a Schiedmayer here; Ravi Shankar and Brian Silas too have shopped here for sitars. The shop lost a part of its stately dignity following a crude renovation in 2010. The stone floor gave way to imitation tiles, counters were painted bright red, and most pianos were banished to an inner room where they were draped in rich maroon velvet sheets. Now, a sleek-looking blood-testing lab is about to open (see photo 1 below). Tonight I looked through the glass wall at the row of metal chairs on which customers would sit and wait to collect their blood reports. Nostalgic post! It’s always sad when something that you thought would last forever in a city, is slowly consumed by it, only to remain in the memories of those who had the fortune to enjoy it. Am also referring to your posts on the disappearing bookshops like Fact and Fiction and Spell & Bound. I pity future generations that might not enjoy the luxury of bookshops with quaint collections, familiar faces and the smell of wooden shelves and coffee! Many years ago, Wenger’s restaurant shut down (only the confectionery shop remains), then Empire Store, Gaylord’s, Raghomalls and now Godin. At this rate, CP itself is under threat. They tried it once with Indira Chowk and Rajiv Chowk.